When compared to many of its global counterparts, Canada’s recovery and employment record has been pretty strong since the Great Recession. Despite not fully recovering to pre-recession levels, Canada is on the right path with the 6.9% unemployment rate expected to decrease slowly in 2017 and analysts projecting growth until 2020! Even though the benefits of a strong employer brand strategy are well-documented, the current trend is that companies are not treating it as much of a priority right now as compared to recent years. That still hasn’t prevented talent teams within these companies from taking a proactive approach to employer brand strategy, however. According to LinkedIn’s Canada Recruiting Trends Report, employers are finding increased success with online professional networks when it comes to using employer branding tools. In order to make sure employer branding isn’t deprioritised further, an increasing number of Canadian talent teams are looking to work with other functions (typically marketing) to make a bigger impact. There is an increasing trend among Canadian recruiters sharing ownership over employer branding strategy with 46% saying they share or contribute to employer branding with marketing. Quality of hire continues to be to most valuable performance metric used by talent leaders. Although ‘time-to-fill’ and ‘hiring manager satisfaction’ have been increasing in popularity when it comes to tracking quality of hire, turnover and retention stats are the metrics used the most with 61% of recruiters using these measures to gauge effectiveness. There is a caveat, however. Canadian recruiters are lacking in confidence when it comes to measuring quality of hire effectively. According to LinkedIn’s report, the global average for confidently measuring quality of hire is 33% but Canada is well below this average, at 22%. Therefore, Canadian recruiters need to make it a priority to improve the ways they calculate and present quality of hire, which will help with budget increases. Recruiters need to dive into the data such as employment dates, roles, sources of hire and promotion and then determine the common traits between top performers, which can help with your recruitment strategy. It’s hardly a surprise that social is featured on this list as it is very much a key tactic that employers are using to attract and engage talent. LinkedIn found that career sites are currently the top source of quality hires but this is in decline, while social networks are growing as an important source for quality hires. 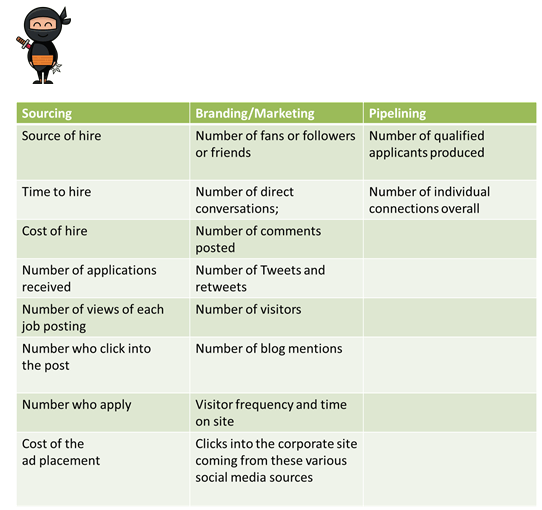 This shows that Canadian recruiters are using social networks in more sophisticated ways to engage with candidates and determine if they are good fit for the role. Despite this, the danger still remains in that measuring Social ROI is notoriously difficult, especially when recruiters select simple metrics that can mislead recruiting efforts. To avoid this, employers should place an emphasis on the quality of metrics used rather than the quantity but at the same time, have several layers of metrics to ensure efficient insights. Take a look at our blog post on the best way to define your Social ROI. Last year, Economic Development Winnipeg found that the average employee tenure in Canada is 8.5 years. While that number seems to be strong, the general workforce is skewing strongly towards the Millennial generation who are less likely to follow a linear path in their careers, as discussed here. Therefore, there needs to be a dedicated approach to retaining this talent. What can Canadian recruiters do? 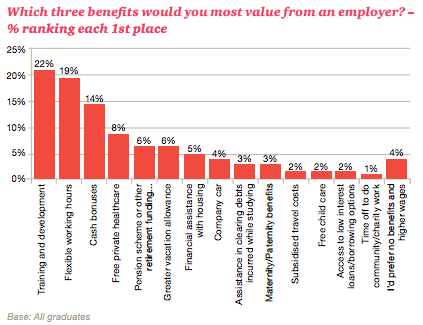 Well, the ‘Millennials at Work Study‘ by PWC found that training & development and flexible working hours were valued more than financial reward so making the benefits millennial-friendly will go a long way in keeping them on board. Furthermore, a couple of interesting polls from Monster Canada found that a strong majority of Canadian workers are interested in corporate wellness programs, so allocating resources towards this can increase retention. With the influx of millennials in Canada, it only makes sense for Canadian recruiters to think about millennials’ daily habits and see what are the best ways to communicate with them. Say hello to mobile. Job seekers have very much embraced mobile with Simply Hired, LinkedIn and Sonru all reporting that upwards of 70% of candidates use mobile to browse for career opportunities. So there is huge need to embrace mobile in order to source, contact and hire millennial talent. Do potential candidates have to zoom in to see text? Can they easily find jobs on mobile? Is the navigation easily accessible? Can candidates easily click on links? 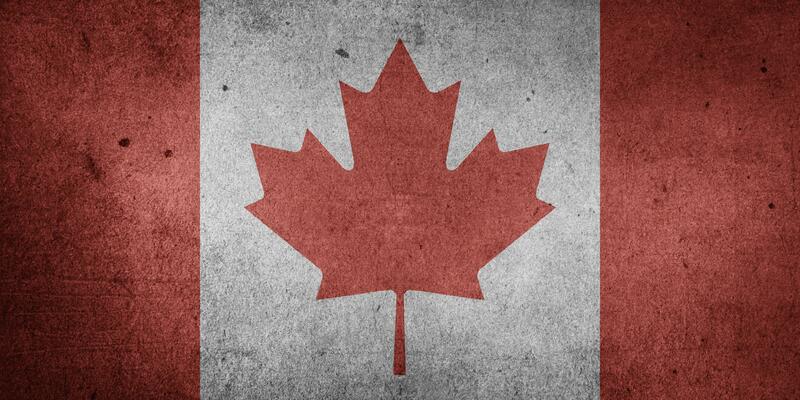 So those are the 5 key trends dominating the Canadian recruitment market right now. Have you noticed anything else? Let us know in the comments below! Five news stories from the week to inspire you to think critically about how you can be the best recruiter you can be! A recent Social Talent blog established that social networking sites and email providers make up the top 10 most visited sites in Ireland. This is replicated across the the world, pretty much, and the Netherlands is no different! Using collated data from Alexa.com we found that Google Nederland, Google, Facebook, YouTube and WindowsLive are the big hitters in the Netherlands with LinkedIn, the first jobs-related site, at number six.